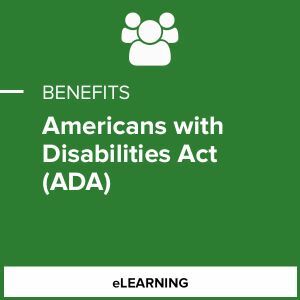 ADA is a wide-ranging civil rights law that prohibits, under certain circumstances, discrimination based on disability. Further, ADA affords a broad series of protections against discrimination for Americans with disabilities. This course goes into depth on Title I of ADA, which specifically provides protection from employment discrimination to qualified applicants and employees with disabilities.